The opioid crisis is such a problem that Maryland, D.C. and Virginia are trying to solve it together. That's why leaders met at the Regional Opioid and Substance Abuse Summit. News4's Chris Gordon was inside today's meeting and talked to a woman who lost her daughter to an overdose. Maryland Gov. Larry Hogan, Virginia Gov. Terry McAullife and Washington, D.C., Mayor Muriel Bowser spoke at a regional summit addressing opioid abuse Tuesday. "Let's be honest, they're dumping drugs in this market," McAuliffe said. "They're putting heroin in at a very cheap price, getting people addicted, and we've got to do everything we can to stop it." Officials talked about aspects of understanding and fighting the opioid crisis, public safety response, treatment, and other topics at the Metropolitan Washington Council of Governments Regional Opioid and Substance Abuse Summit in Linthicum Heights, Maryland. It's the result of an agreement leaders signed in the fall to reduce drug overdose deaths. "It crosses all social and economic lines, and it crosses racial barriers," Bowser said. "That's why we're working together to curb the epidemic." An estimated 2 million people in the U.S. are addicted to prescription opioids. On average, 91 people die each day from an overdose of those painkillers or their illicit cousin, heroin. In Maryland, six people die each day as a result of opioid overdoses, according to Hogan. "In fact, last year opioid-related deaths exceeded both firearms and motor vehicle fatalities combined," he said. 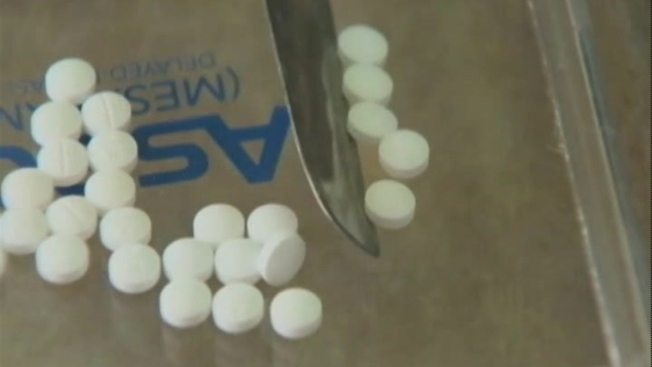 D.C., Maryland and Virginia have different laws dealing with opioid and substance abuse. Virginia's prescription monitoring law limits the number of pills a doctor can give a patient. "Your initial opioid prescription can not last more than seven days and you can't even do that unless you have an assessment, a risk and patient assessment," McAuliffe said. "No doctor sat down with me and said, 'Make sure she doesn't take more than this because these medicines are really addictive,'" said Carolyn Weems, whose 21-year-old daughter died of a heroin overdose in 2013. Weems speaks publiclly about her daughter's death to make sure people understand the dangers of prescription drugs. "She got addicted to painkillers because of a bad back," Weems said. "Basically it's the same structure as heroin, and then when someone introduced her to heroin, four months later she's dead." "I think one key takeaway from today's proceedings should be this, that we're dealing with a health emergency and we need to treat it as such," Bowser said.